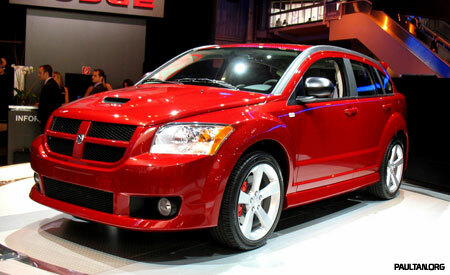 Among concept vehicles like the Avenger at the 2006 Paris Motor Show, Dodge also displayed it’s production models, like this 2007 Dodge Caliber crossover. The car is a 4-door hatch similiar to the likes of the Toyota Matrix – somewhat like a crossover between a sporty hatchback and a station wagon?! It was introduced this year to replace the Dodge Neon, and was based on the DCX/Mitsubishi GS platform which also spawned the likes of the new Mitsubishi Outlander and the next generation Lancer. Engine options are a 1.8 litre, 2.0 litre and a 2.4 litre, and you can mix these with choices of a 5-speed manual or a CVT automatic – either front wheel drive or all wheel drive traction is available. There is also a Dodge Caliber SRT-4, featuring a turbocharged 2.4 litre engine making 300 horsepower mated to a 6-speed manual. 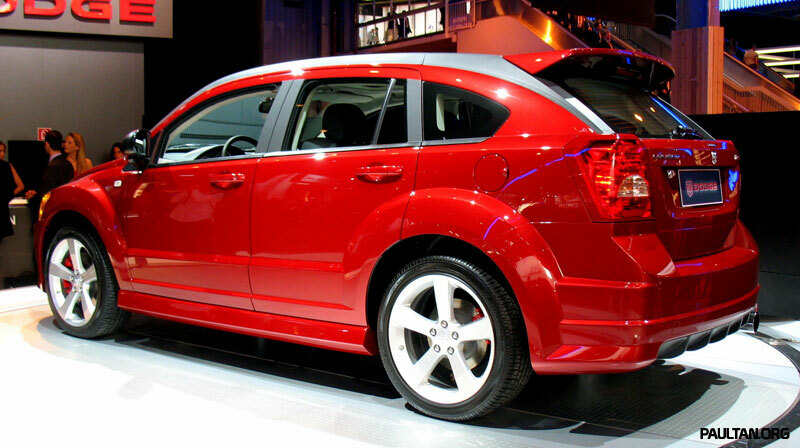 In the European market, the Dodge Caliber is also available with a 138hp, 310Nm 2.0 litre turbodiesel sourced from Volkswagen AG. One more photo after the jump, thanks to Ben Corley, and as usual enlarged versions are also available.